I have here a video that I’ve been meaning to do for awhile now. This was planned before I asked for any suggestions, which I thank those of you that helped out. The video in question is showing off 16 manuals that I was able to get for free at the local store It’s About Games to go with the games that I didn’t have ones for. Next week or so I’ll be able to show the purchases of recent eBay auctions. Those that know what I usually get maybe surprised to see what the stuff is. I was kind of amazed myself. Well, until then take it easy. Here’s a few quick items of interest that I noticed today on my RSS feed. 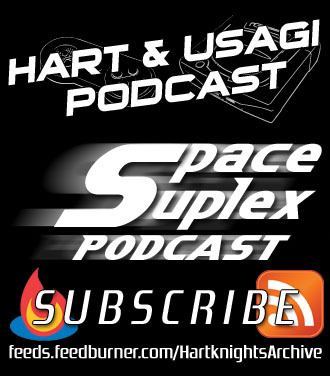 I’d already listened to the podcast from whence it came and I actually agree with what was said. However, later in the show I disagreed with Pete Wanat about games becoming only available via download. If that’s the case, then get yourself attached to the Zeebo. I must say that I did get a laugh when Wanat started off his rant with “The Wii is like having a Sega Genesis.” at about the seven minute mark. There’s some cool new stuff that’s going to be available in two days for Resistance 2. A patch with have a new multiplayer mode called Meltdown, a higher co-op difficulty setting with bigger XP rewards, and allow a local co-op player to use their PSN ID to save scores. Some paid content will also be released. Check out the above link for details on those. I checked this out yesterday and I found it to be somewhat interesting. Granted there’s not a lot to do as of yet, but at least this gives some purpose to Home and Xi itself seems to have potential. Figuring out the puzzles with a friend is also a fun time. I figured there was little reason to have a post solely to make these new additions known, so here they are. 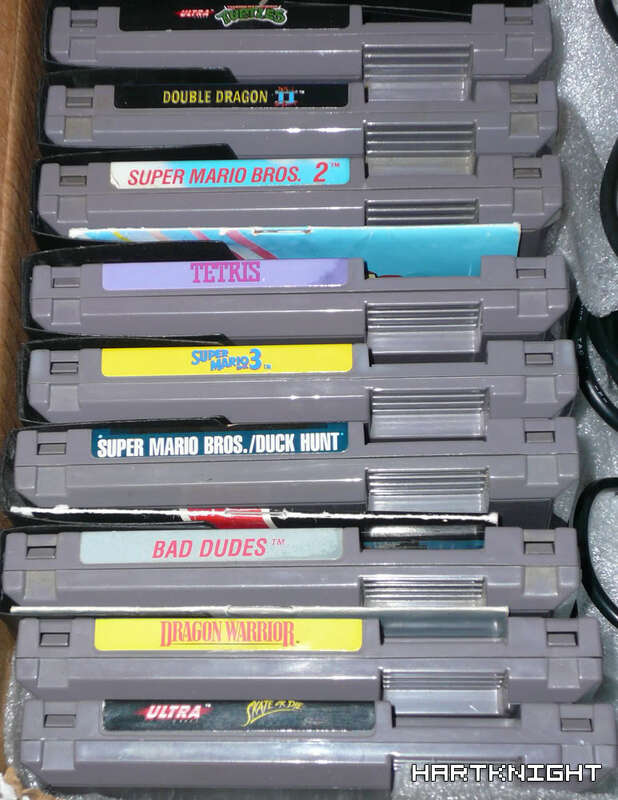 Comments Off on Zeebo Calls Wanat Posted in Collecting, Gaming, News Tagged gdc, grin, insomniac games, konami, nes, rad racer, resistance, scea, squaresoft, the adventures of bayou billy, wanted, warner bros.
About two weeks ago I received the items I bought on eBay. 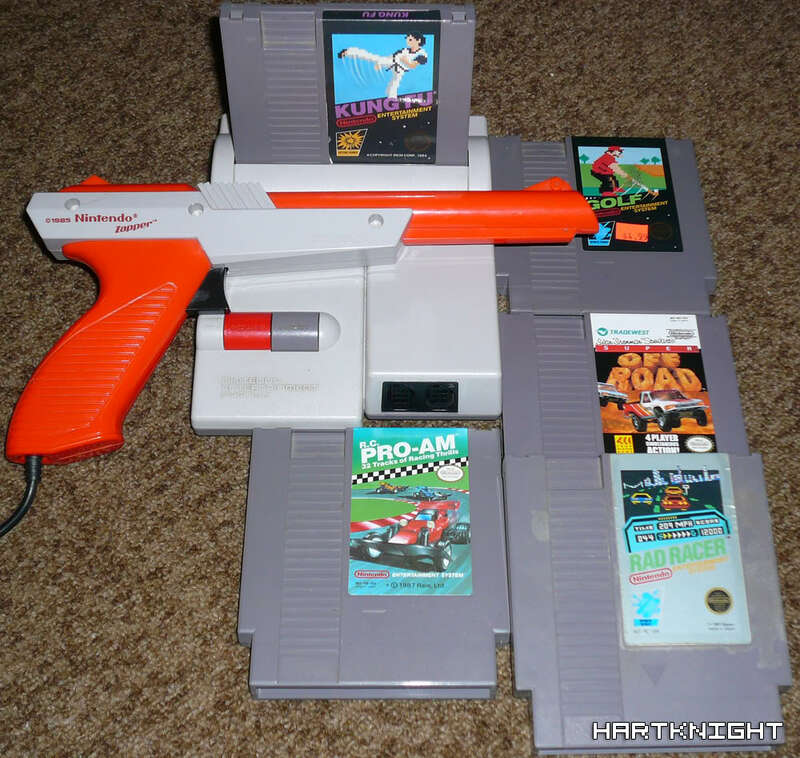 Those items consisted of an NES model 2, light gun (orange), 2 controllers (original), and 14 games. The only unfortunate thing about the games is that I already own 9 of them. I fell that it was worth the repeats just so I could get the model 2 NES at a decent price. 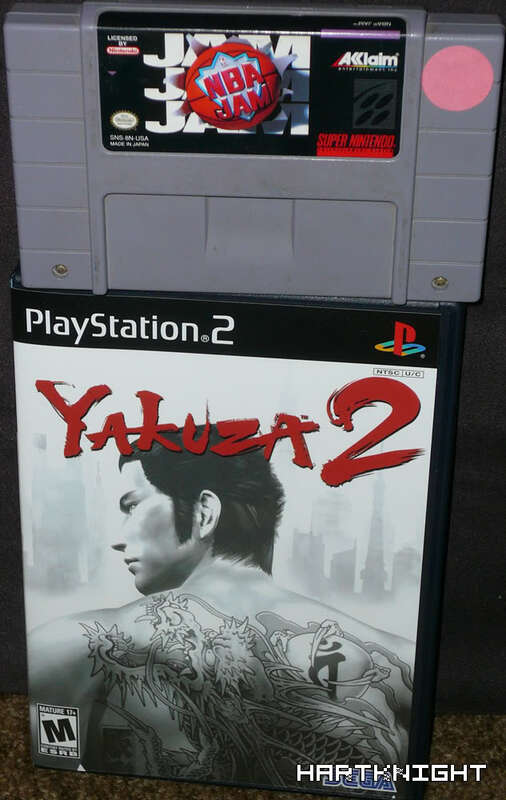 In addition I also bought Yakuza 2 and a second copy of the original NBA Jam for the SNES. I only did so after demoing it and seeing that it included Charles Barkley. Early versions of this game have him in it. He was taken out in later printings of the game because of his involvement at the time with Barkley Shut Up and Jam. Here’s the usual wonderful gallery of photos. Yesterday I specifically went out to buy Grand Theft Auto IV. I first checked It’s About Games. They didn’t have it, but I did notice several hard-to-find games that I needed to get because it will probably be awhile before I see them again. After getting home I tested the games out as I always do and I ended up having problems with Knight Rider and Battletoads. So later in the day I returned to the same store to return those two games and picked up four others in their place. Once again the NES games gave me problems. Today I took those back and bought a PSP launch game instead. Now I own every single Twisted Metal game that’s currently available. While I was out the second time the previous day, I stopped by Circuit City to get GTAIV. I found that game along with three more PSP games. An extra DS game that I bought at Best Buy about two weeks ago was Nanostray 2. I wasn’t going to get it, but then I saw that it was $20.